Wall galleries seem to be all the rage right now in interior design. They easily fill an empty wall while giving the room a tastefully themed focal point. They're also very convenient if you have a lot of little pictures and art pieces you have to display while keeping your space looking fresh and trendy. It took me a while to build up enough courage to even consider creating a wall gallery! We have all browsed through the many Pinterest pins and Instagram posts of wall gallery inspiration and tutorials and wondered how anyone could ever create a gallery anywhere as amazing as those professionally made masterpieces! The endless array of options for prints and hangings and decorations is overwhelming! Settling on a single theme and making sure every part of the gallery works together is extremely intimidating. Not to mention the large budget you have to have to buy everything! For me, purchasing custom-made prints and specially-fitted frames was completely out of the question. I was on the verge of giving up the idea when the DIY voice in my head encouraged me to find a way to make a gallery all by myself. It really couldn't be that hard right? All I needed was a couple of frames, some art supplies, and a bit of creativity. So, after a couple days of planning and painting, I accomplished my very own, simply-made, Pinterest-worthy, wall gallery! Now I'm going to share with you lucky readers how to make a beautiful, wallet-friendly, and EASY wall gallery for your own space! Keep scrolling for the full tutorial! Before you begin anything, think of how you want your gallery to look. You don't need to do anything excessive- just have an idea of what color scheme/subject matter/theme you want of your gallery to help guide you through the rest of the process. Remember, the largest component of a wall gallery is it's strategic compilation. Make sure whatever you have in mind is going to look good together and match with the aesthetic of the room that it's going to be in. Once you have your theme in mind, begin by rounding up some picture frames. I didn't have any old ones lying around so I bought some at the dollar store. The size of the frames is totally up to you. It mostly depends on how large your wall space is and how large you want your gallery to be. I had a smaller space so I chose smaller frames. Be conscientious of the color and style of the frames too. Make sure they'll match well with whatever pictures you choose and your overall gallery theme. Now, take out the sample pictures from each frame, trace it onto a piece of blank paper, and cut it out. We're going to design/decorate these blank pieces of paper to make the pretty pictures you're going to hang up! That's right- forget about those fancy, custom-made pictures...we're DIY-ing everything! Next, we're going to plan out what we want inside of the frames! This may be the first step you take before anything else but I was too eager to get started so I saved this part for later (haha). I searched the oh-so-inspirational Pinterest for some ideas concerning subject matter and I did study up a bit on those annoyingly perfect professional galleries. I settled on a light and airy, pastel-hued and flowery gallery theme with a hint of tropical and a touch of inspirational quotes. This is my go-to theme with everything- plus it matched well with the rest of my bedroom. Finding your theme/subject matter can be very frustrating especially when you see so many amazing ideas and collaborations! The best advice I have is to stay true to yourself and your style, or else you're going to be living with a gallery that you don't really care for and get bored of quickly. Narrow down your options by looking at different gallery compilations that you're naturally drawn to, then choose one or two pieces within the gallery that you LOVE and reflect you (and can easily DIY)! It may take some time, but stay focused on the end goal and your gallery will soon begin to come together! The above picture shows some of the planning I did for my gallery. I first jotted down some things that I like in general and would possibly like to have in my gallery. Then I did some thumbnail sketches of the pictures I wanted. Finally, once everything was planned out, I sketched the designs on those pieces of paper we traced and cut out earlier. This is one of the most fun parts- to craft, create, and see everything slowly come to life! I used watercolor and a bit of acrylic for my pictures, but use whatever medium you like! If you're reading this post and thinking, "How is this easy?! I'm not artistically inclined!" then stop worrying because I have an alternate option for you! 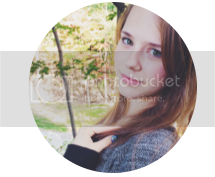 Simply find a color printer and print out your pictures! Go on Google and Pinterest and search "free printables", "hd wallpaper", and "wall gallery printables" to get you started. See that anchor picture I framed below? I totally printed that and it totally looks good! Once all your pictures are ready, put them inside of your frames or tape them to those paper inserts. Now we're ready to hang everything up! I found this next part a bit challenging because no matter how many sketches you draw and times you arrange the frames on the floor, you won't know how everything is going to look and fit on the wall until you actually hang it up. My strategy was to hang up one picture that I knew exactly where I wanted it and took turns holding up one or two other pictures around it until I found an arrangement I liked. The nice thing with the paper frames is that I simply taped them on the wall so I could leave them up while finding spots for the more permanent frames. After some fussing and hammering, you made it! A bonus is that this gallery is customized for you, by you, so you can keep adding onto it whenever you want! I added my own DIY-ed wall hangings, dollar section Target calendar, and bulletin board and I'll keep making additions as the summer progresses! 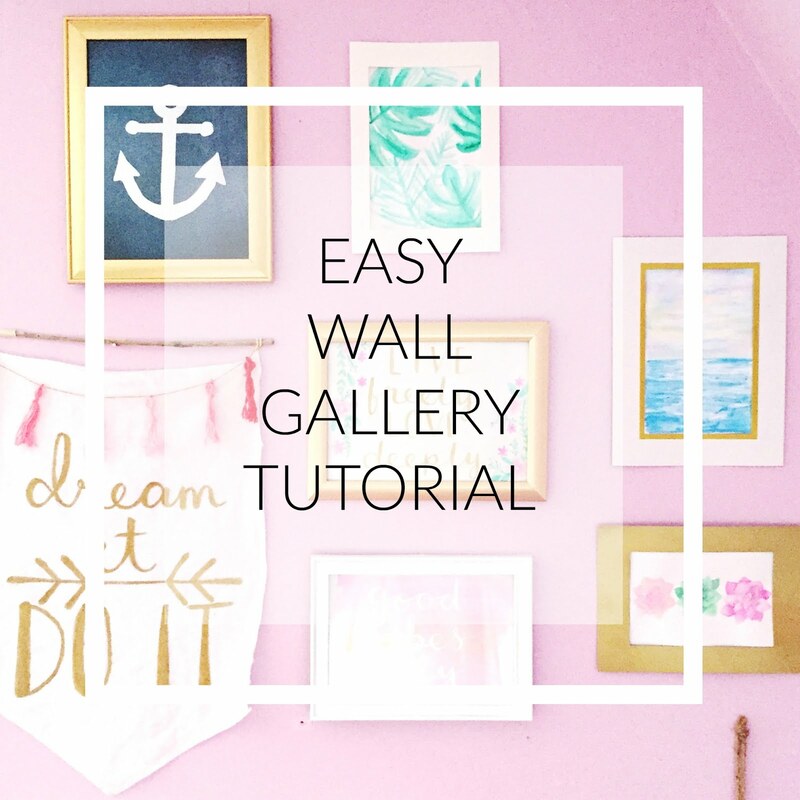 So, let me know how easy this easy wall tutorial actually was! Maybe you even found a way to make this tutorial even easier! Is that even possible?! I'm also very interested to see the results of your DIY wall gallery! Let me know what your theme is and if you found an amazing website for free printables!